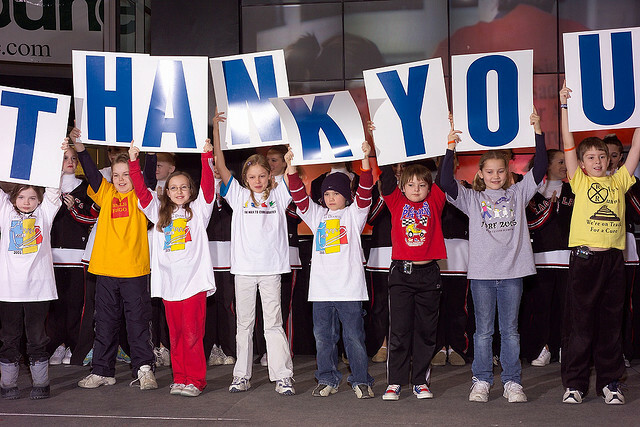 Have you thanked your donors recently? If you haven’t shown gratitude since your year-end appeal, you need to do something soon. And you need to be thanking your donors more often – at least once a month. It’s not too late to start creating an attitude of gratitude. Summer is coming (yea!) and this is a great time to connect with your donors and plan the thank you component of your year-end appeal. We’re almost halfway through the calendar year. Hard to believe, isn’t it? Share some accomplishments with your donors. Remember to focus on how THEY are helping you make a difference. If you don’t have a print newsletter, you could create a postcard infographic with a prominent thank you and a few accomplishments. Keep it short and engaging. Don’t bore donors with a lot of facts and statistics. Make it donor-centered, too. Thanks to you, we were able to expand our tutoring program to three more high schools since January. I recommend mailing something to your donors this summer. They’re more likely to see a mailed piece than an email message. Create a thank you card that includes a photo of a person or group holding a thank you sign. A good photo can get your message across in an instant. You could also create cards with your organization’s logo or just buy thank you cards. Make sure you have them ready for your next fundraising appeal, and use them throughout the year. You may be panicking because I’m suggesting you print and mail thank you cards and you don’t have much of a budget for that. But some donors prefer print communication. Besides, it’s always nice to get a thoughtful card in the mail. Can you budget more for printing and mailing? You could also find a printer to print cards pro bono. Communicating with your donors should be a priority. 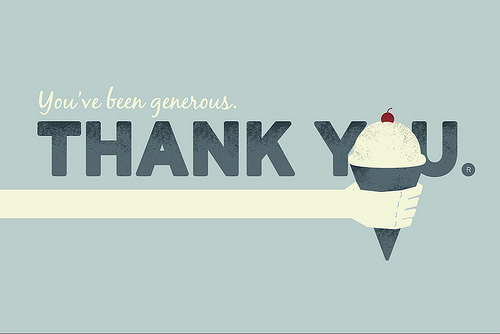 You don’t want to skimp when it comes to thanking your donors. You don’t have to mail that often, but try to aim for three to four times a year. Fall will be here before you know it. Spend some time this summer getting ready for your year-end appeal. Spruce up your thank you messages and thank you landing page. Work on giving your donors a thank you experience. Think about having an open house or maybe a BBQ for your donors. A great time to do this would be in September or October. It’s a nice segue to your year-end appeal. If this is starting to stress you out, create a thank you plan that you can incorporate into your communications calendar. I’ll be writing more over the summer about building relationships and getting ready for your year-end appeal. In the meantime, don’t forget to thank your donors.